Oxtails are slowly braised with onion, celery, carrots, garlic, wine, and herbs for a hearty meal. Recipe reprinted with permission from The Frugal Gourmet Cooks Three Ancient Cuisines by Jeff Smith (Wm Morrow). Using a large black frying pan, brown the seasoned oxtails in the olive oil. You will need to do this in about 3 batches. 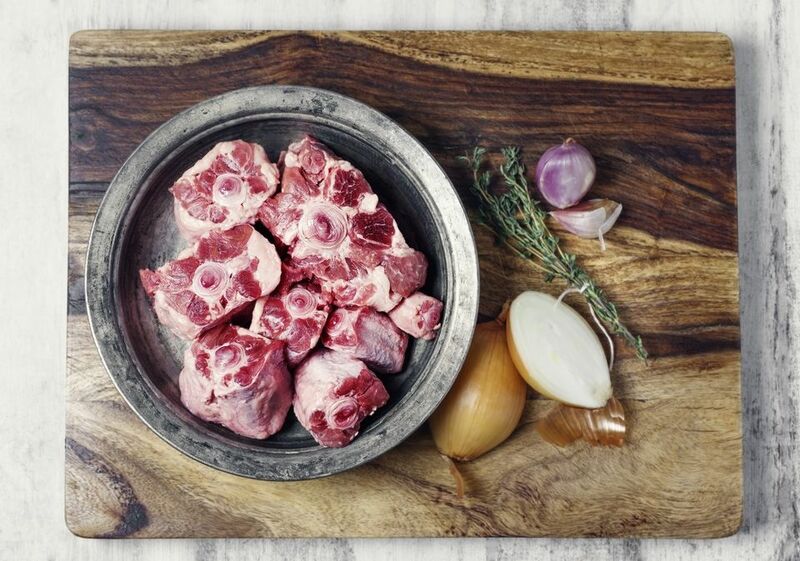 Remove the oxtails to a 6- to 8-quart heavy stove-top pot. Leave the oil in the frying pan and saute the celery, onion, carrots, garlic, shallots, and parsley. When the onions are clear, add the flour and stir in well. Saute a few minutes longer and add the beef stock, bay leaves, and thyme, along with the oxtails.